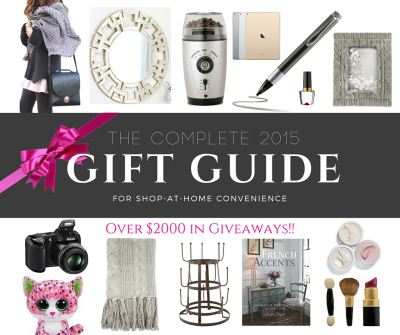 Somewhat Quirky: Holiday Gift Guides Are Here! Holiday Gift Guides Are Here! Have you been to Hobby Lobby lately? If you've been anywhere you probably couldn't miss the signs that Christmas is coming. I just have to say whenever I hear those words Christmas is coming they are immediately followed in my mind by the goose is getting fat . 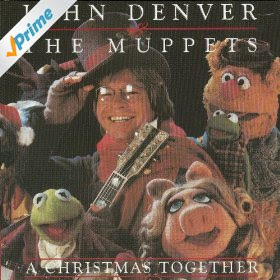 . . probably because of my endearing love for A Christmas Together by John Denver & The Muppets. In a nutshell - It's time. Time to buy Christmas presents. There are some people, me among them, that find this whole Christmas gift thing somewhat disagreeable. So when I see a gift guide pop up in my email or on a blog, I get a little spark of hope. That spark of hope that I will find just the gift I need - without even getting dressed taking a bath fixing my hair going to a store! We've put together over 60 different guides - so whether you are shopping for a baker, a quilter, a snow lover, a woodworker, - well, you get my point - there will be a gift guide for you. Why you could be finished shopping before Thanksgiving! And did you catch where it said "over $2,000 in giveaways!!" - well that's just wrong. It is over $4,000 in giveaways! Each separate gift guide will host it's own giveaway. You'll be able to access them all from right here on Somewhat Quirky Design. Wanna know what my gift guide is? It's filled with things that I want. And that's what they say you should do you know. Give people what you would like to receive. So this gift guide is my heart on a platter. Well, this is something I don't think I've seen before. I'll be curious, and will check it out. As for ♫♪♫Christmas is Coming...♪♫, just think, pretty soon you can dust that bad boy off and play it with your grandbaby! I think there should be a jeweled cake tester on that gift guide. And top on my list is someone to figure out all my gift giving needs for me. Oh, and I forgot.....pleased to put a penny in the old mans hat. This will be neat to see the list. Have a great week.